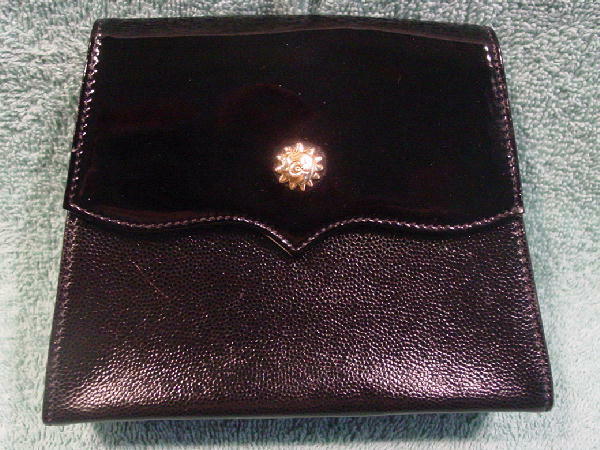 This little vintage leather evening purse is by Christian Lacroix Paris and was made in France. 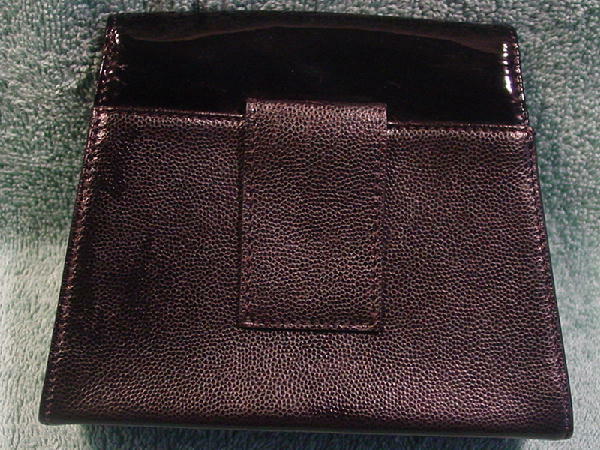 In the back is a fingerhold strap. 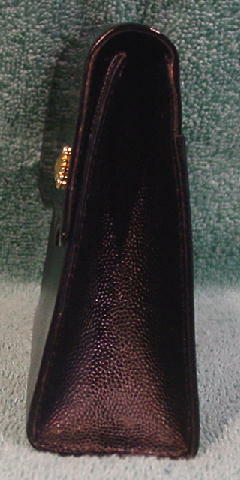 There is a modified envelope styling with the exterior of the flap being in black patent leather. 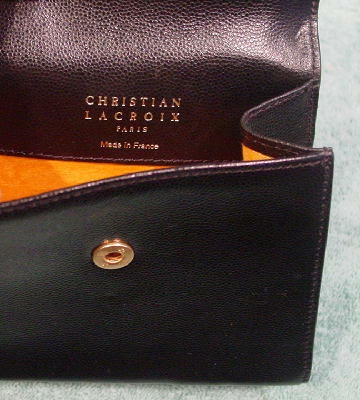 The rest of the exterior and the flap interior are in black leather. 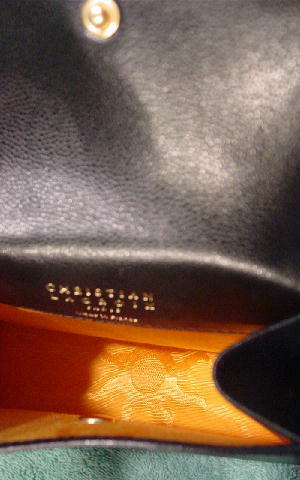 It has a golden yellow tone-on-tone design pattern fabric lining. 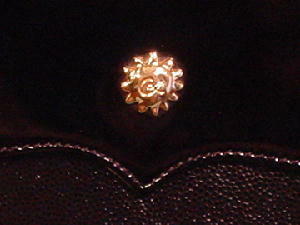 There is a hidden one snap front closure with an exterior small gold-tone ornament with an etched CL in its center. The front flap has some very light surface marks which are only seen if you look closely in certain lights. The purse is light in weight.